I couldn't wait to get shipped for an adventure so I took matters into my own paws. 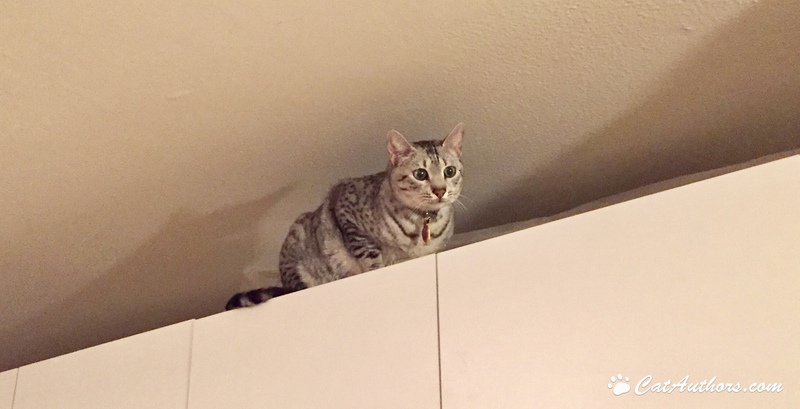 I scaled Mount White Cabinets in our exercise room. I am traversing the summit. It is scary & the air is thinner up here but I'm in shape. I work out all the time, you know. Next week, I'll show you a video or two of me on our exercise wheel.